Go to original pattern for design DROPS 114-8. DROPS jumper with cables in ”Alpaca” with 3/4 sleeves or long sleeves. Size S - XXXL. DROPS design: Pattern no Z-442. 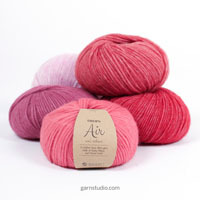 or size needed to get 24 sts x 32 rows in stocking st = 10 x 10 cm. DROPS POINTED NEEDLES size 2.5 mm – for rib. Worked back and forth on needle. 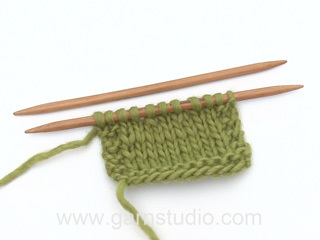 Cast on 107-121-135-142-163-177 sts (includes 1 edge st each side) on needle size 2.5 mm with Alpaca. Work rib as follows (first row = RS): 1 edge st, * K3, P4 *, repeat from *-* and finish with 1 edge st. When rib measures 2 cm K 1 row from RS, AT THE SAME TIME dec 9-13-17-12-19-19 sts evenly = 98-108-118-130-144-158 sts. Change to needle size 3 mm. P 1 row from WS and continue in stocking st with 1 edge st each side. When piece measures 9 cm dec 1 st each side, repeat the dec on every 2 cm a total of 5 times = 88-98-108-120-134-148 sts. When piece measures 20-21-21-20-20-21 cm inc 1 st each side, repeat the inc on every 3-3-3.5-4-4.5-4.5 cm a total of 5 times = 98-108-118-130-144-158 sts. When piece measures 38-40-41-41-42-44 cm cast off 4 sts each side for armhole and cast off for armhole each side on every other row: 4 sts 0-0-0-1-1-2 times, 2 sts 2-3-5-6-8-9 times and 1 st 0-2-2-1-2-2 times = 82-84-86-88-92-94 sts. Continue in stocking st on all sts. When piece measures 54-57-59-60-62-65 cm cast off the middle 32-34-34-36-38-40 sts for neck and complete each shoulder separately. Cast off 1 st on neckline on every other row 2 times = 23-23-24-24-25-25 sts left on shoulder. Cast off loosely when piece measures 57-60-62-63-65-68 cm. Cast on and work like back piece until piece measures 20-21-21-20-20-21 cm. On next row inc 1 st each side, repeat the inc on every 3-3-3.5-4-4.5-4.5 cm a total of 5 times = 98-108-118-130-144-158 sts. 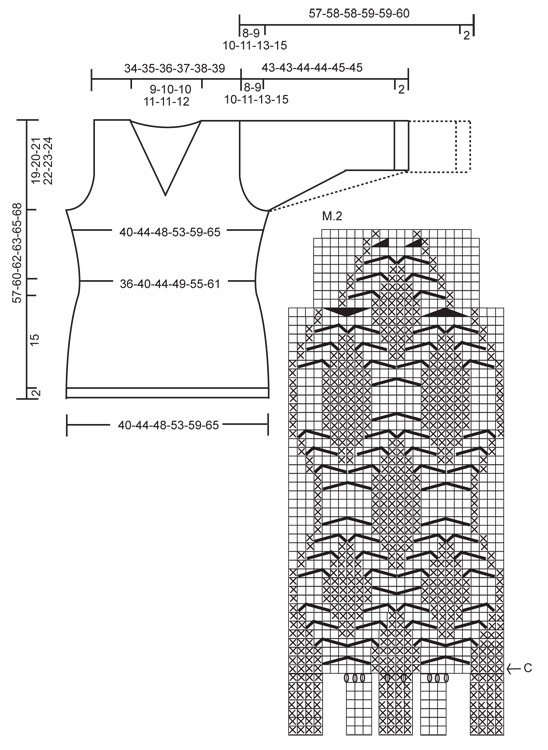 Continue in stocking st with 1 edge st each until piece measures 33-34-35-36-39-40 cm. Now continue as follows (from RS): 1 edge st, 33-38-43-49-56-63 stocking sts, M.1 (= 30 sts), 33-38-43-49-56-63 stocking sts and 1 edge st. AT THE SAME TIME when piece measures 38-40-41-41-42-44 cm cast off for armhole each side as described for back piece. Continue up to arrow-A in M.1. On next row from RS cast off for neck as follows: work the first 24 sts of M.1, cast off 2 sts (= mid front) and work the remaining 24 sts of M.1 (work remaining sts in stocking st as before). Insert a marker in piece, and now complete each side separately. 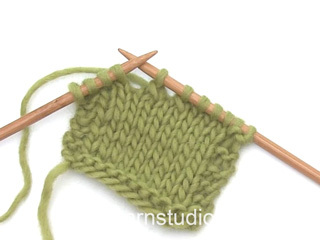 Continue back and forth on needle in stocking st and M.1 as before – remember to cast off for armhole at the side! AT THE SAME TIME on next row from mid front dec 1 st for neck. Continue to arrow-B in diagram for M.1. Now continue with 15 sts rib as shown in M.1, work remaining sts in stocking st as before. AT THE SAME TIME dec 1 st for neck inside the 15 sts in rib, and repeat the dec on every 4th row 3-4-4-5-6-7 times = 38-38-39-39-40-40 sts. Continue until piece measures 11-12-12-13-13-14 cm from marker (adjust to length of armhole on back piece). 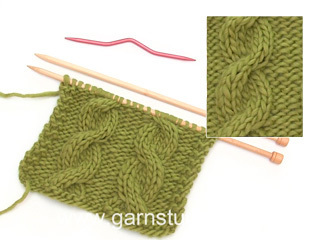 Now cast off 23-23-24-24-25-25 sts from shoulder towards neckline = 15 sts left on needle. Continue back and forth on needle in rib as before on these 15 sts. Cast off loosely with K over K and P over P after approx 7-7-7-8-8-8 cm (measured from shoulder). Like left front piece but mirrored. Cast on 65-65-72-72-72-79 sts on needle size 2.5 mm with Alpaca. Work rib as follows (first row = RS): 1 edge st, * P4, K3 *, repeat from *-* on 21-21-28-28-28-28 sts, M.2 (= 18 sts), K3, *P4, K3 *, repeat from *-* on the next 21-21-21-21-21-28 sts and 1 edge st. Continue like this up to Arrow-C in M.2. There are now 73-73-80-80-80-87 sts on needle. Change to needle size 3 mm. 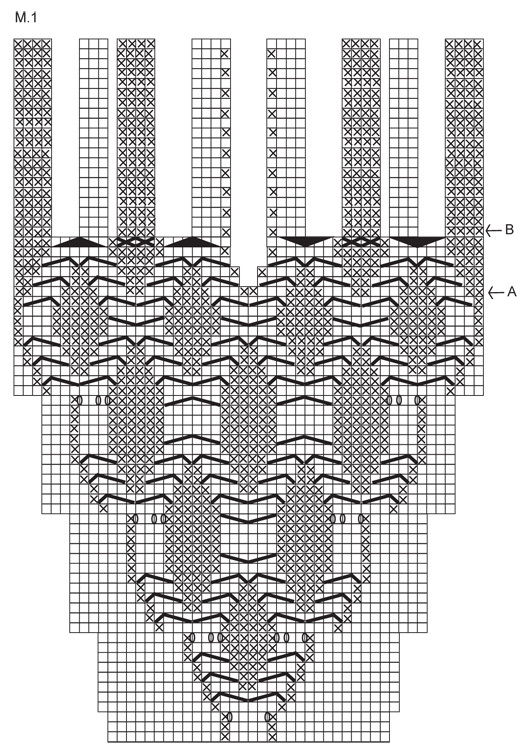 Continue as follows (from RS): 1 edge st, 21-21-28-28-28-28 stocking sts, M.2 (= 26 sts), 24-24-24-24-24-31 stocking sts and 1 edge st. Work 1 vertical repeat of M.2 like this = 65-65-72-72-72-79 sts on needle. Insert a marker, and now measure piece from here. Continue in stocking st with 1 edge st each side. AT THE SAME TIME when piece measures approx 2 cm from marker inc 1 st each side, repeat the inc on every 1.5-1-1-0.5- 0.5-0.5 cm a total of 8-11-11-14-17-17 times = 81-87-94-100-106-113 sts. When piece measures 17-16-16-15-14-12 cm from marker (less for the larger sizes because of longer sleeve cap and wider shoulder) cast off 4 sts each side. Cast off for sleeve cap at the beg of every row: 2 sts 4-5-5-5-4-4 times each side and 1 st 3-3-5-5-11-14 times each side, then 2 sts each side until piece measures 24-24-25-25-26-26 cm, now cast off 4 sts each side 1 time, and cast off remaining sts. Piece measures a total of approx 43-43-44-44-45-45 cm. Cast on 65-65-72-72-72-79 sts on needle size 2.5 mm with Alpaca. Work rib as follows (first row = from RS): 1 edge st, * K3, P4 *, repeat from *-* on 21-21-21-21-21-28 sts, K3, M.2 (= 18 sts), * K3, P4 *, repeat from *-* on the next 21-21-28-28-28-28 sts and 1 edge st. Continue like this up to Arrow-C in M.2. There are now 73-73-80-80-80-87 sts on needle. Change to needle size 3 mm and continue as follows (from RS): 1 edge st, 24-24-24-24-24-31 stocking sts, M.2 (= 26 sts), 21-21-28-28-28-28 stocking sts and 1 edge st. Work 1 vertical repeat of M.2 like this = 65-65-72-72-72-79 sts on needle. Insert a marker, and now measure piece from here. Continue as described for Left Sleeve. Cast on 58-58-65-65-65-72 sts on needle size 2.5 mm with Alpaca. Work rib as follows (first row = RS): 1 edge st, * P4, K3 *, repeat from *-* on 21-21-21-21-21-28 sts, M.2 (= 18 sts), K3, * P4, K3 *, repeat from *-* on the next 14-14-21-21-21-21 sts and 1 edge st. Continue like this up to Arrow-C in M.2. There are now 66-66-73-73-73-80 sts on needle. Change to needle size 3 mm and continue as follows (from RS): 1 edge st, 21-21-21-21-21-28 stocking sts, M.2 (= 26 sts), 17-17-24-24-24-24 stocking sts and 1 edge st. Work 1 vertical repeat of M.2 like this = 58-58-65-65-65-72 sts on needle. Insert a marker, and now measure piece from here. Continue in stocking st with 1 edge st each side. AT THE SAME TIME when piece measures approx 1-2-2-1-1-1 cm from marker inc 1 st each side, repeat the inc on every 2.5-1.5-1.5-1.5-1-1 cm a total of 12-15-15-18-21-21 times = 82-88-95-101-107-114 sts. When piece measures 31-31-30-30-28-27 cm from marker (less for the larger sizes because of longer sleeve cap and wider shoulder) cast off for 4 sts each side for sleeve cap and cast off for sleeve cap at the beg of every row: 2 sts 4-5-5-5-4-4 times each side and 1 st 3-3-5-5-11-14 times each side, then cast off 2 sts each side until piece measures 38-39-39-40-40-41 cm, now cast off 4 sts each side 1 time, and cast off remaining sts. Piece measures a total of approx 57-58-58-59-59-60 cm. Cast on 58-58-65-65-65-72 sts on needle size 2.5 mm with Alpaca. Work rib as follows (first row = RS): 1 edge st, * K3, P4 *, repeat from *-* on 14-14-21-21-21-21 sts, K3, M.2 (= 18 sts), * K3, P4 *, repeat from *-* on the next 21-21-21-21-21-28 sts and 1 edge st. Continue like this up to Arrow-C in M.2. There are now 66-66-73-73-73-80 sts on needle. Change to needle size 3 mm and continue as follows (from RS): 1 edge st, 17-17-24-24-24-24 stocking sts, M.2 (= 26 sts), 21-21-21-21-21-28 stocking sts and 1 edge st. Work 1 vertical repeat of M.2 like this = 58-58-65-65-65-72 sts on needle. Insert a marker, and now measure piece from here. Continue as described for Left Sleeve. Sew shoulder seams. Set in sleeves. Sew sleeve and side seams inside 1 edge st. Sew rib on neck tog mid back and sew to back piece. = 1 YO between 2 sts, on next row work YO into back of loop to avoid a hole. = slip 3 sts on cable needle in front of piece, P1, K3 from cable needle. = slip 3 sts on cable needle behind piece, work first st on needle tog with first st on cable needle a total of 3 times. = slip 3 sts on cable needle in front of piece, work first st on cable needle tog with first st on needle a total of 3 times. 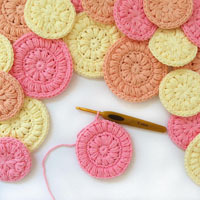 What is the edge stitch in this pattern? I cannot find any instructions for it? Dear Mrs Lehman, the edge stitches are worked for the seam allowance, you can work it in garter stitch, in stocking stitch or with chain edge as you are used to. Happy knitting! Liebe Frau Stieg, bei der 3. Reihe stricken Sie (in der Mitte): 1 M lli, 1 Umschlag, 4 M re, 1 Umschlag, 1 M li - bei der nächsten Reihe (Rückreihe) ahben Sie dann 1 M re, 6 M li, 1 M re (= 6 M re zwischen 1 M li von der Vorderseite gesehen). Viel Spaß beim stricken! Bonjour Mme Albert-Giganon, nous n'avons pas ces mesures, mais si votre tension est correcte, vous devriez avoir les bonnes dimensions, comme dans le schéma, et comme sur la photo, ajusté à chaque taille. Bon tricot! Dear Mrs Hayes, the 16 1/8" are measured from marker while the 23 5/8" are the total length of the sleeve. After work measures 16 1/8" from marker bind off 4 sts 1 time on each side then bind off remaining sts. The number of remaining sts may vary depending on your tension in height (= how many times you bind off 2 sts on each side). The measurements are here more important than the number of remaining sts. Happy knitting! Liebe Corny, also alle Reihen sind im Diagram gezeigt, 1 Kästchen = 1 Reihe x 1 Masche, so muss Ihr M.2 etwas weniger in der Höhe messen :) Viel Spaß beim stricken! Liebe Corny, der Markierer ist nach M.2 eingesetzt (M.2 = 51 Reihe = ca 16 cm + die 7 ersten Reihen mit dünneren Nadeln), = ca 18 cm + 31 cm = ca 49 cm Begin der Armausschnitt. 18 cm + 39 cm = ca 57 cm: 4 M auf beiden Seiten abketten = ca 58 cm gesamte Länge. viel Spaß beim stricken! Bonjour Mr Duhamel, le 1er rang de M.1 se tricote sur l'endroit, donc le 3ème rang sera également sur l'endroit et vous augmenterez ainsi: 12 m end, 1 m env, 1 jeté, 4 m end, 1 jeté, 1 m env, 12 m end. Au rang suivant (= Rang 4), tricotez M.1 ainsi: 12 m env, 1 m end, 6 m end (tricotez les 2 jetés torse pour éviter les trous), 1 m end, 12 m env. Au 5ème rang, on va tricoter 11 m end, les 2 torsades sur 8 m, 1 m env, 11 m end. Lisez bien le diagramme de droite à gauche sur l'endroit et de gauche à droite sur l'envers. Bon tricot! So that I can knit this pattern, I tried to print it. But the entire pattern will not print (the edge is cut off, bottom of the page is overprinted by the cookies notice, etc.) . Can you please send it to me in a printable format (in American English), including the errata. I will be making the largest size. Dear Mrs Pinkham, clean your cache and try again - make sure to print all pages - try if necessary with A.4 format - It should work. Happy knitting! Buongiorno Debora. Provi a vedere se il video che alleghiamo può aiutarla nella cucitura. Buon lavoro! Hi I persuaded my Mum to knit this jumper. She is 86 an experienced knitter and has been struggling with the way the pattern is written. I am also an experienced knitter and I too have had difficulty with its interpretation. I can see that others have had problems with how you are describing to decrease particularly the sleeves. 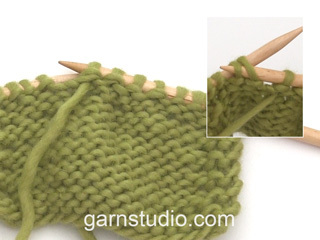 If you decrease as it is written you do not have enough stitches to finish the decreasing. We are having to work it out ourselves.